Private shows, public gigs and reunion talks, oh my! August 29th. You’d think that this date would be fairly quiet. It’s at the end of August. It’s still summer and hot. It turns out that historically, the band always seem to be doing something on this date! Anybody have the all-music issue of Vanity Fair from 2003? Simon was featured in it! His issue was released on this date. I own this magazine, although right now it is safely (I hope!) in storage, somewhere. They’ve also played private gigs (they performed in Russia on this date in 2014), and a few other shows here and there. So while we might think August to be a slow month, it turns out that might not always be so! 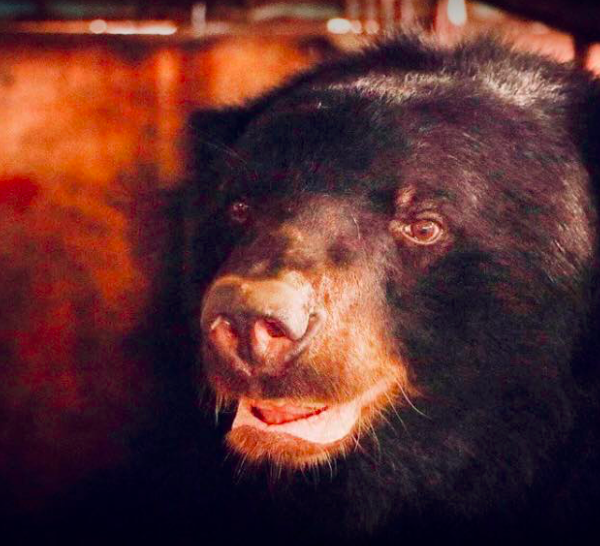 Did you see the bear that #FiveAlive Rescue named after (and by) Simon? His name is LeBON. He’s cute!! (The BEAR, Simon. The BEAR! I mean, you’re fine and all…..but its about the bear!!!) Duran Duran has partnered with Five Alive rescue to secure donations for Animals Asia, which is a wonderful cause. If you click on the picture below, you’ll be taken to the donation site. Every bit helps! click on the picture to donate to #FiveAlive rescue in honor of DD! I’ve caused enough trouble for one day. Have a great Wednesday, everyone! Happy Birthday, Anniversary, and thinking back to Ravinia! Today is a very busy day in Duran history. The band must really LIKE July 9th or something, I have to say. There’s a birthday, a big anniversary, and several “they played here on this date” mentions. So let’s get to them! Roger’s son was born on this date in 2011. He’s seven today! That seems impossible because I am still convinced that Elliot should still be twelve! A very happy birthday to Julian! What date do we really celebrate as “Day One” for this band? Is it the date they first rehearsed together as a five-piece? Is it the date that John and Nick agreed to start a band? Is it the first time the played with Simon as the singer? I’ll let all of you hammer that one out, but in the meantime, I’m going to celebrate that on this very date in 1980, Duran Duran played at the Rum Runner, and it was the first gig with the classic lineup. Thirty-eight years and counting. Not that I’m counting. In fact, I’d rather not at this point. How about we all agree to forget the number and just wish one another a heartfelt “Happy Anniversary!” Don’t get me wrong, I love the idea that we’ve all been on this career-long journey with the band that has lasted the better part of 40 years. I don’t love the idea that somehow, I’m older than 40 now. Nope. Not gonna do it. I saw Duran Duran at Ravinia, just outside of Chicago in Illinois. I vacillate between disbelief that it was only two years ago, and shock that it’s already been two years. I’m ready for more shows, but I’m also willing to wait. Money…time…all that good stuff that I have none of. Speaking of which, I’m off! Duran Duran history for March 11 – on this date in 1993, Duran Duran performed at Die Mauer in Madrid Spain. This date was included during the Dilate Your Mind tour of Europe, in support of The Wedding Album. Additionally, there is also a bootleg of this show that is floating around somewhere, titled Die Mauer, Madrid 11-3-1993. On today’s date in 1984, Duran Duran played at the Capitol Center in Largo, Maryland and dedicated Save A Prayer in memory of Marvin Gaye, who had been shot and murdered by his own father the day before. Save a Prayer is a song that many Duranies have equated with uplifting spirits in times of sadness or crisis. There are a few DD songs that tend to be on the short list for those moments, and the band has been very kind in dedicating performances of their songs when appropriate. Sometimes it’s the simple acknowledgment of grief that helps us get through the toughest of times.